Welcome to ESA’s Gaia blog! Gaia is a global space astrometry mission. 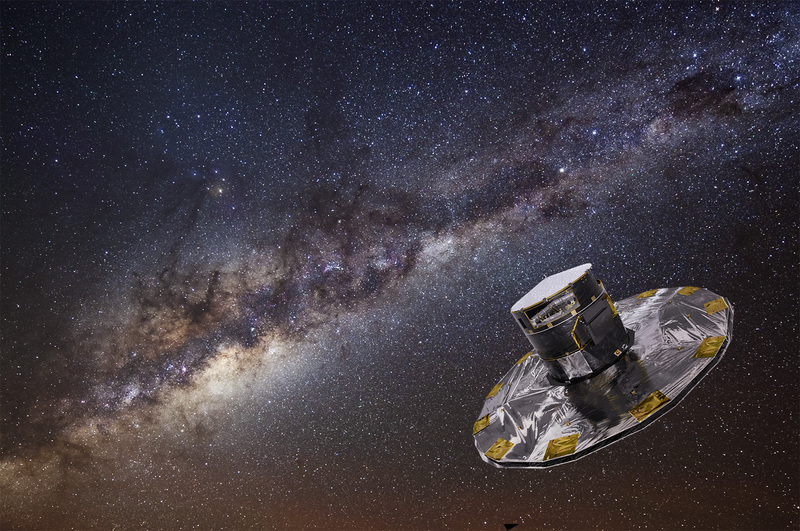 It will make the largest, most precise three-dimensional map of our Galaxy by surveying more than a thousand million stars. In this blog we’ll cover the activities from Kourou from once the spacecraft has left the clean room in Toulouse until launch. And we’ll include guest blogs from outside of Kourou – to give you an idea of the other things that are happening in the wider Gaia community. Good luck. I KNOW you can do it. Brave men and women, lucky humans. Can`t wait! The potential of this mission is of the scale. Lets hope the launch and deployment goes well and we can start seeing some first results. A real discovery machine this is. Go ESA!